The only thing better than a beautiful bouquet of roses is one that’s both gorgeous looking and edible too. 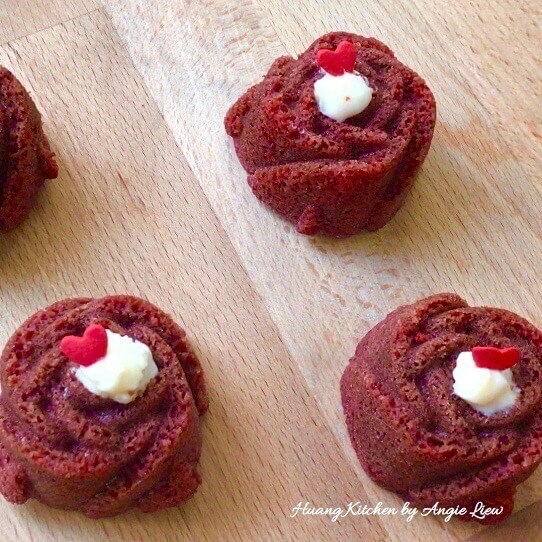 These red velvet rose cupcakes may just be it as they are so adorable and taste so good too. The cupcakes are dense yet soft and light. Filled with velvety cream cheese and chopped walnuts, they really make a super Valentine’s Day dessert that will melt any heart! 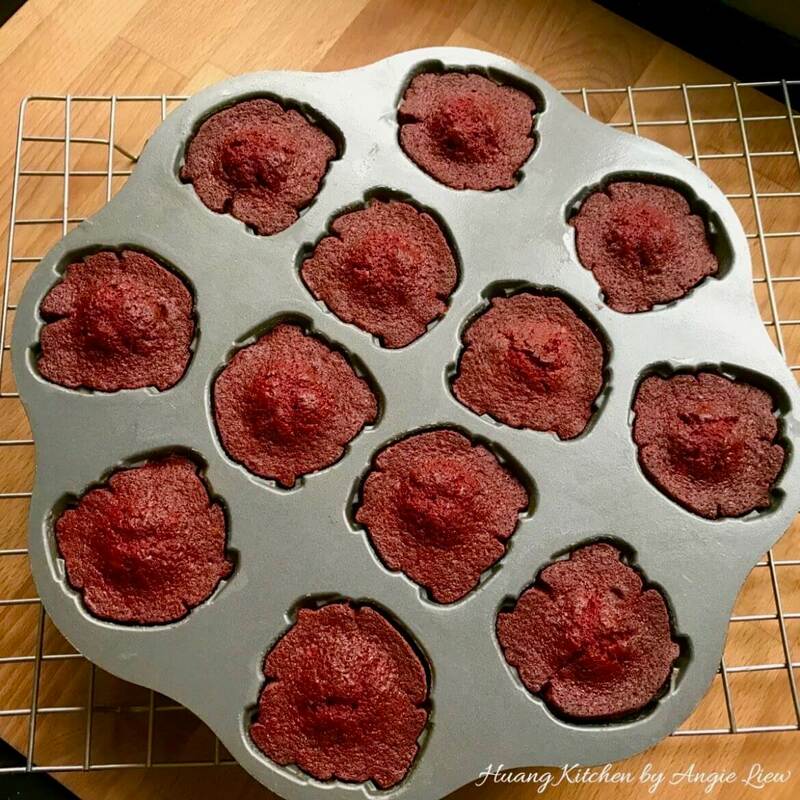 These dainty red velvet rose cupcakes are so delicious and simple to make. 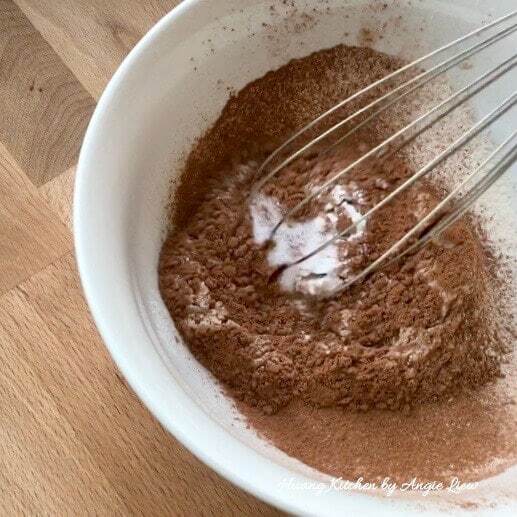 They have a mild chocolate flavour from the cocoa powder and is made tender with addition of buttermilk. Chopped walnuts adds a delightful texture too. 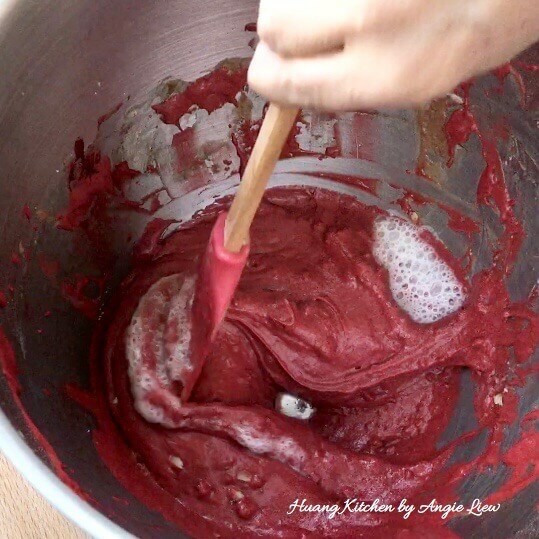 The red tinted cake batter is baked in a greased Sweetheart Rose Cakelet Pan (see item description below). When cooled, a smooth and creamy cheese filling is then piped into the cupcakes. 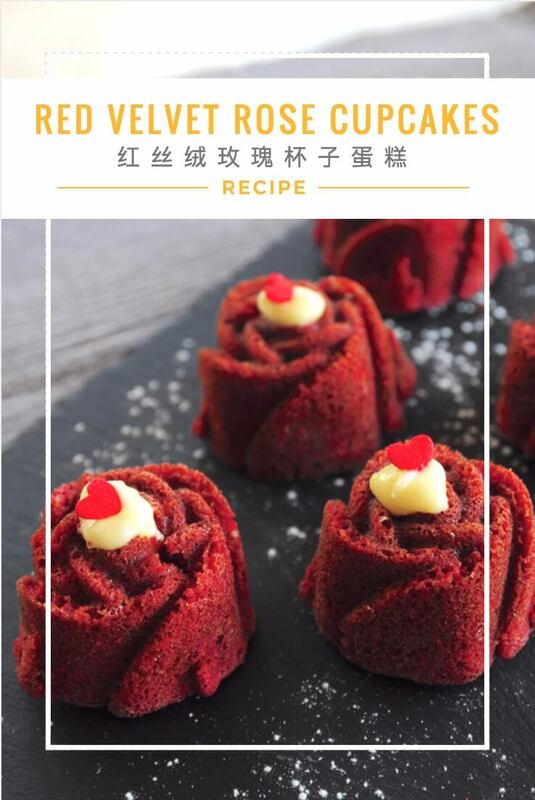 The bright red colour of the cupcakes sharply contrasted with white cream cheese filling make them the most attractive, romantic and striking cake of all time …. just perfect for Valentine’s Day. 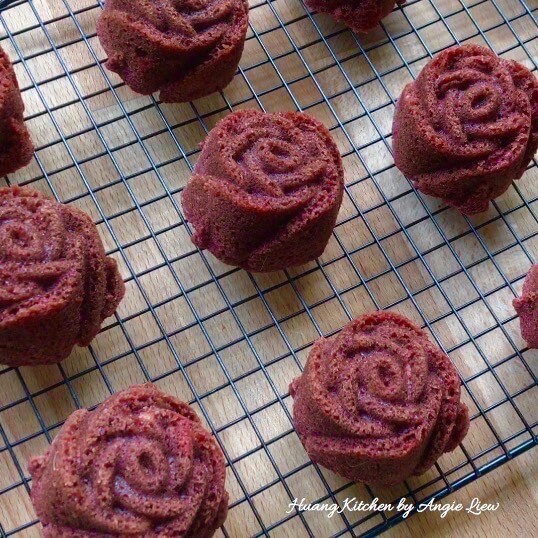 These beautiful red velvet rose cupcakes taste just as wonderful as they look. Dense yet soft and light, these red velvet cupcakes are filled with velvety cream cheese and chopped walnuts. First, preheat oven to 180 degree C.
Grease extensively a 12-well sweetheart rose cakelet pan with pan grease or non-stick cooking spray. Then, sift together the flour and cocoa powder. Add in baking powder and salt. Mix well and set aside. 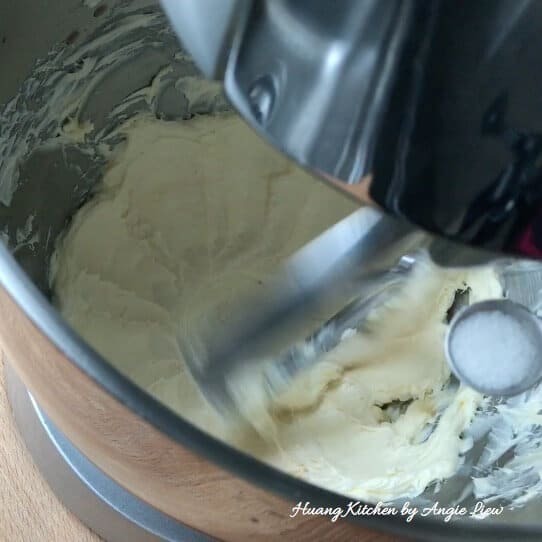 In the bowl of an electric mixer fitted with a paddle attachment, beat butter and sugar on medium speed until batter is light and fluffy. 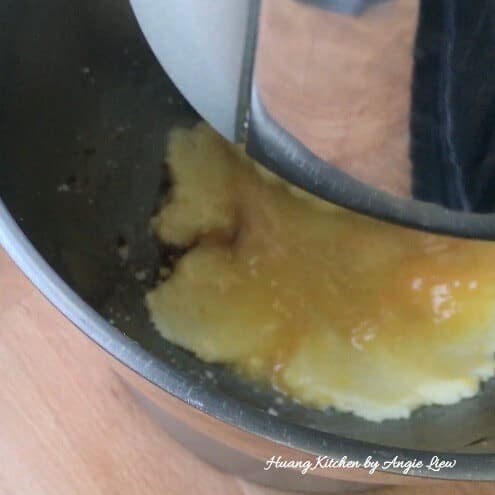 Stop the mixer occasionally to scrape down the sides of the bowl. Then add egg and vanilla extract. Continue to beat till everything is well mixed. 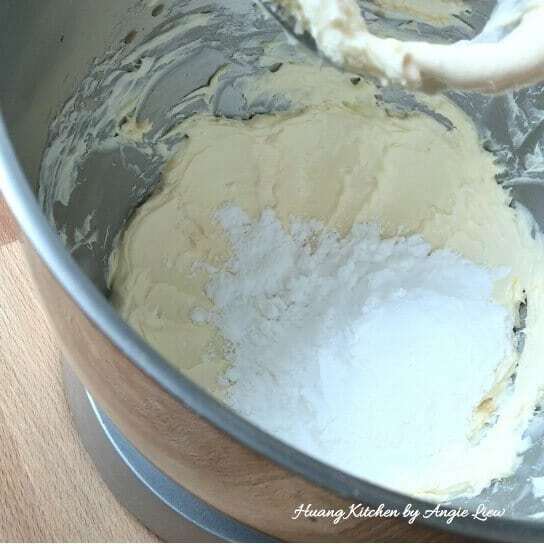 Reduce the speed to low, add the flour mixture in three batches, alternating with the buttermilk. Beat till well mixed. 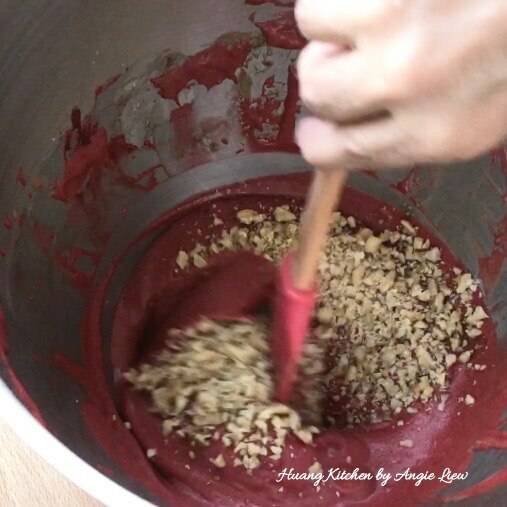 Remove the bowl from the mixer and add food colouring until you get your desired colour. Then, fold in the chopped walnuts. Lastly, add in the combined vinegar and baking soda. 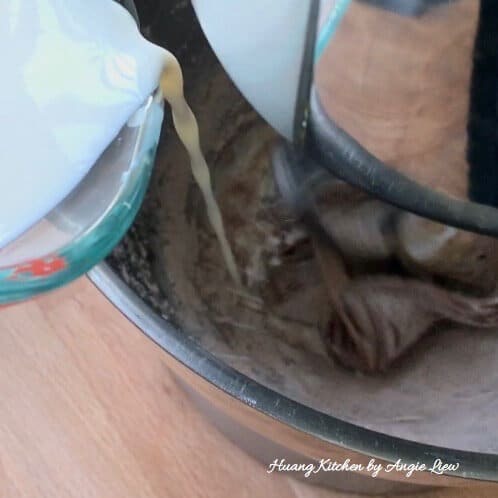 Using an ice-cream scoop, quickly spoon and divide batter evenly into the greased pan. Tap to remove excess air in the pan. Briefly smooth the top with the back of a teaspoon. 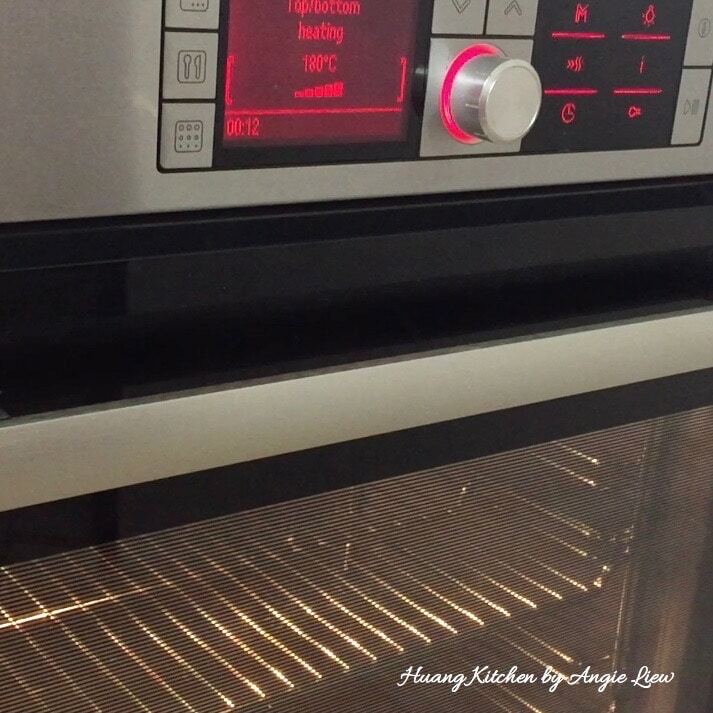 Bake in the preheated oven for about 20 minutes or until a toothpick inserted in the centre comes out clean. Remove the pan and leave to cool on wire rack for 10 minutes. Then, remove cakes from pan to cool completely before we pipe in the cream cheese filling. To make the filling, beat together cream cheese and butter till smooth. Then beat in vanilla extract and salt. On lower speed, gradually beat in sieved icing sugar. 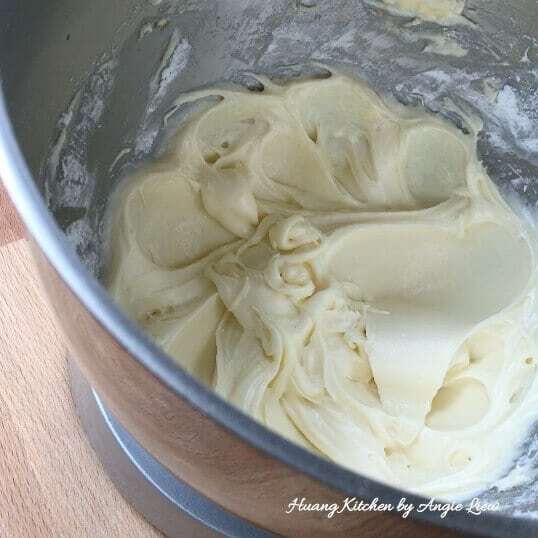 Continue to beat till batter is smooth and creamy. And we're ready to pipe the cream cheese filling into the cupcakes. 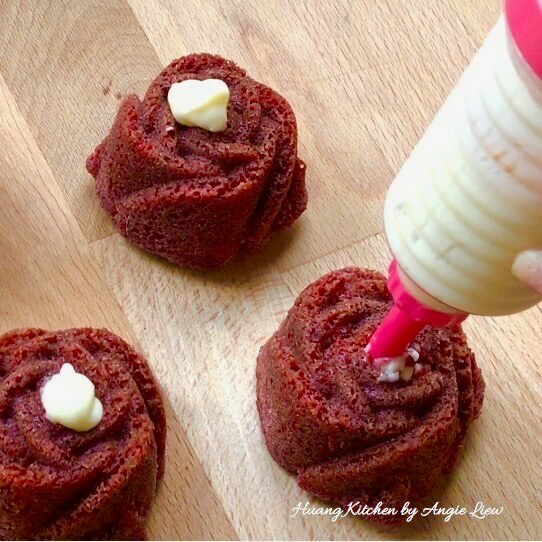 Fill the cream in a piping bag and pipe into the red velvet cupcakes. And we're done! Decorate with tiny red sugar hearts for a perfect valentine treat. So Enjoy! Grease the sweetheart rose pan extensively with the pan grease. 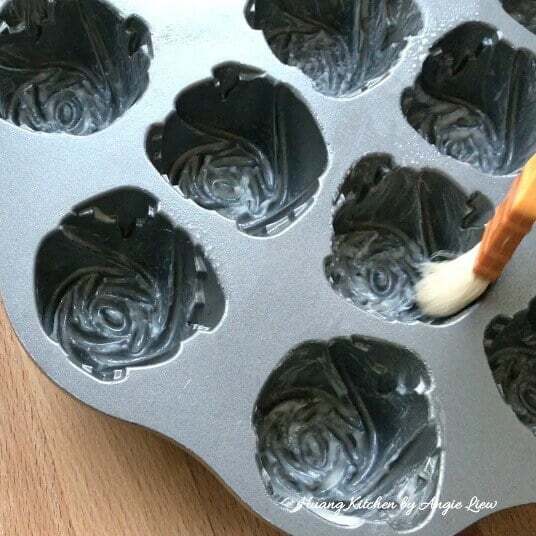 Use a natural brush instead of silicone brush so that the grease can get into all the corners of the cakelet pan. 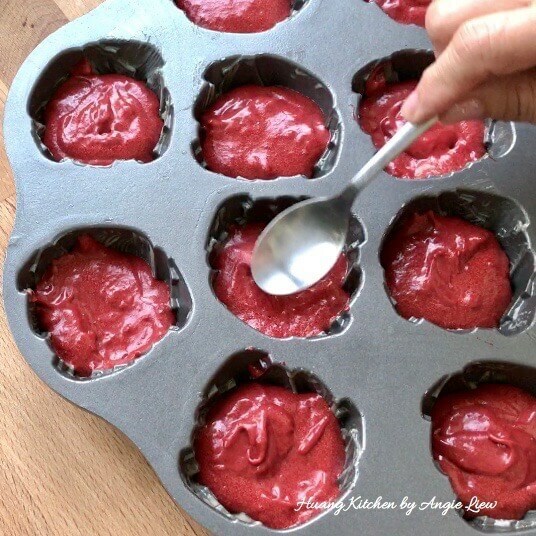 Baking time is determined by the size of the cupcake pan used, about 18 to 20 minutes. Cakes and filling can be made in advance. 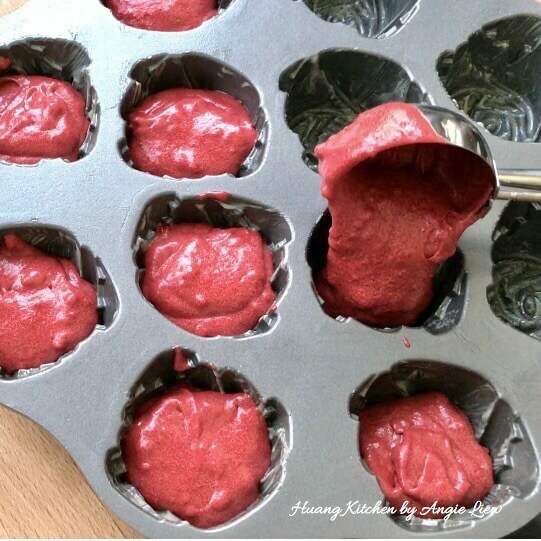 Keep cupcakes tightly at room temperature and refrigerate prepared filling in an airtight container until needed. These cupcakes can be kept frozen for up to 2 months. Just bring to room temperature before serving.